The post What to Do About a Dog Nose Bleed by Jennifer Lesser appeared first on Dogster. Copying over entire articles infringes on copyright laws. You may not be aware of it, but all of these articles were assigned, contracted and paid for, so they aren’t considered public domain. However, we appreciate that you like the article and would love it if you continued sharing just the first paragraph of an article, then linking out to the rest of the piece on Dogster.com. 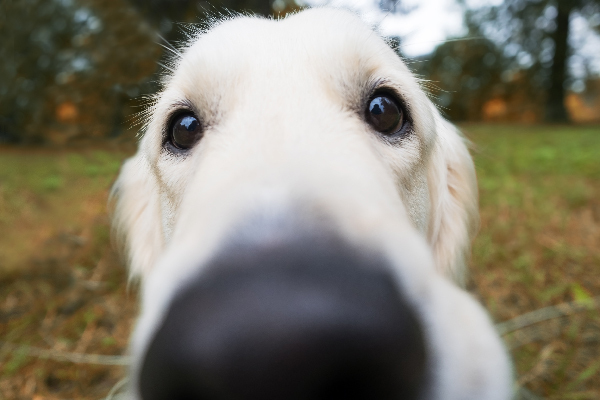 One of the more unsettling respiratory symptoms, a dog nose bleed may have a variety of causes. Known scientifically as epistaxis, something as simple as a blade of grass stuck in your dog’s nose can cause a dog nose bleed. Or, a dog nose bleed may indicate that there’s something more serious going on — from infections to diseases to cancerous tumors. What Causes a Dog Nose Bleed? What causes a dog nose bleed? Photography © tverkhovinets | iStock / Getty Images Plus. According to Dr. John Gicking, DVM, BluePearl Veterinary Partners, a dog nose bleed could be a result of issues ranging from foreign bodies to infections. “It can be caused by trauma to the nose itself, foreign objects stuck in the nose or infections — most commonly fungal infections, but bacterial infections are also possible,” he explains. More serious causes of a dog nose bleed include tumors or even dental disease. “Infections on the roots of the teeth can eat through into the nose and cause nasal bleeding or discharge,” he adds. Dr. Trisha East, DVM, adds that along with diseases that affect the nasal passages or sinuses, a dog nose bleed can happen because of conditions that impact your pet’s entire body, such as high blood pressure. Blood clotting disorders, such as reactions to certain drugs or toxins, as well as tick-borne diseases may cause nose bleeds in dogs. “Nose bleeds can have many different causes that range in severity,” she adds. What Dogs Are at Risk for Nose Bleeds? According to Dr. East, certain breeds with inherited traits are more susceptible to nose bleeds. “Doberman Pinschers can have an inherited trait that can lead to bleeding,” she adds. Dr. Heidi Houchen, DVM, VCA Northwest Veterinary Specialists, explains that Doberman Pinschers have the highest incidence of Von Willebrand’s disease, a common inherited bleeding disorder of dogs (and humans). “Dogs that are allowed to roam outdoors would also be more likely to having bleeding from the nose — these dogs are much more predisposed to trauma, having a tick attach and transmit a tick-borne disease, finding and ingesting anticoagulant rat bait, or inhaling foreign bodies such as grass awns,” Dr. Houchen adds. Additionally, young dogs are prone to trauma and toxicity-induced bleeding, while middle-aged and older dogs are prone to immune-mediated diseases — which can also cause a nose bleed in dogs. 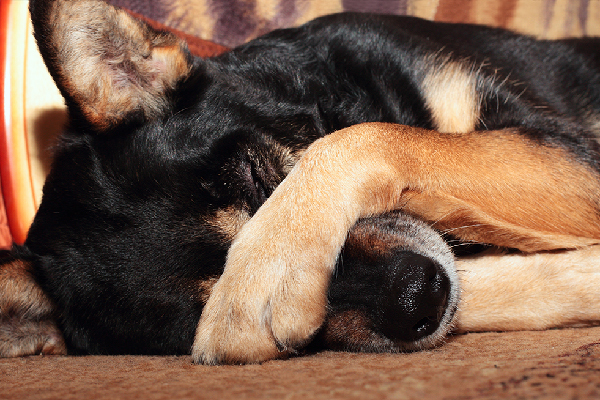 How will your vet diagnose a dog nose bleed? Photography © SikorskiFotografie | iStock / Getty Images Plus. When your dog has a nose bleed, recognizing whether the bleeding is unilateral or bilateral — in other words, whether it’s coming from one or both nostrils — plays a big role in how your dog is diagnosed and treated. According to Dr. Houchen, if your pet is bleeding from only one nostril, it may indicate that the bleeding is due to a tooth abscess or a benign or cancerous mass on one side of the face, or a foreign body that a dog inhaled and got lodged in one side of the nose. “Often, dogs with inhaled foreign bodies — such as grass awns — in their noses will paw at their faces, sneeze or gag, and may make noisy breathing sounds in addition to having bloody noses,” she adds. 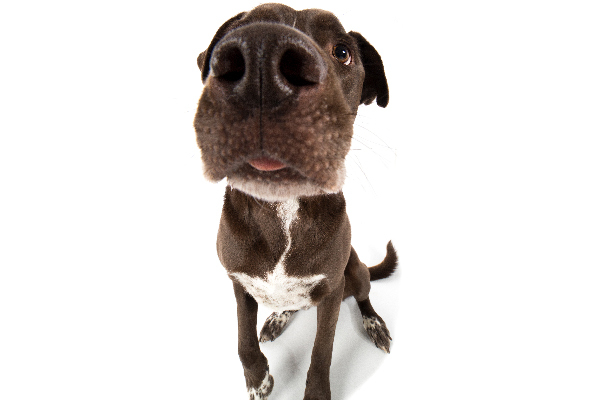 On the other hand, dogs with congenital or acquired diseases of the clotting system, fungal or bacterial nasal infections, or trauma to the nose often have bleeding from both sides of the nose, Dr. Houchen notes. “A nose bleed could be caused by your pet simply running or bumping into something, or it could be a much more serious condition, such as a fungal infection or cancer,” agrees Dr. Kathryn Boyle, DVM, Banfield Pet Hospital. If you watched Fido run headfirst into the coffee table, applying pressure should be all you need to do to constrict the nasal blood vessels and stop the bleeding. You’ll also want to be sure that your dog remains as calm as possible — excitement may only elevate his or her blood pressure and worsen the bleeding. For more serious causes that require veterinary care, your veterinarian will likely provide a thorough physical exam, and may conduct blood work as well as possibly an X ray, CT scan or MRI depending on the suspected cause of the nose bleed, Dr. Houchen notes. Placing your dog under anesthesia may help to fully examine your dog’s mouth, nose and upper airway. Treatment for a dog nose bleed depends on the cause. Photography © Koldunova_Anna | iStock / Getty Images Plus. Treatment of a dog nose bleed will vary widely depending on the cause. A tick-borne disease may require antibiotics, a tooth root abscess or a benign polyp might call for anesthesia and a removal of the tooth or mass, and a clotting disorder due to the ingestion of a toxin such as rat bait is treated with blood products to replace lost blood and administered an antidote, Dr. Houchen explains. “When in doubt, err on the side of caution, and seek advice from your veterinarian sooner rather than later when it comes to any respiratory concerns related to your pet,” Dr. Boyle concludes. Thumbnail: Photography © AzmanL | iStock / Getty Images Plus.